You see people meal prepping all the time these days; if I could get my life super organized I swear I’d be one of those people. But it seems that with work, the gym, catching a shower and then making dinner- there is no time. Most people do their prepping on the weekends, but I desperately don’t want to cook and chop veggies on the weekend! I’d rather be outside (especially with the warm weather) with my sweet pup, Teddy, playing. 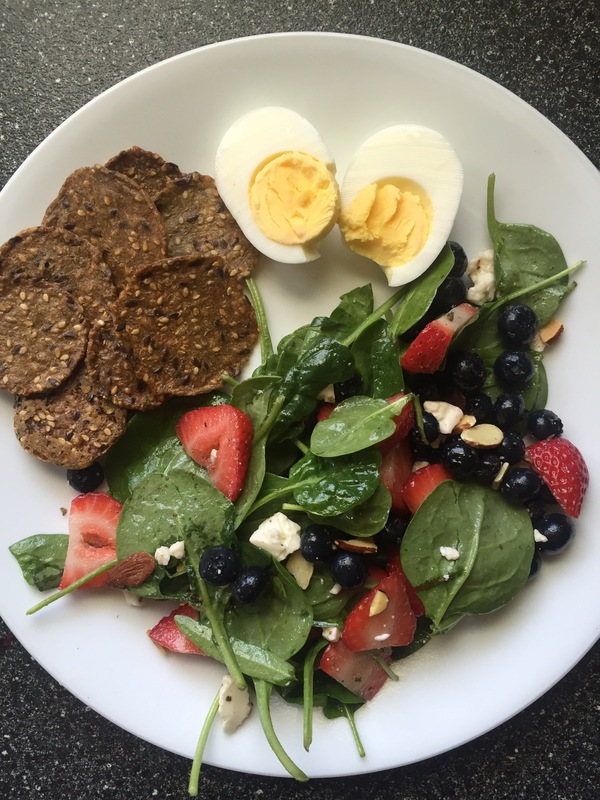 So, until I can get my life together, I’ll be whipping up a quick lunchtime meal, like this amazing salad that I can’t get enough of (and if you are a meal prepper, you can totally prep this)!! Pretty much everything I make is simple and only takes a few ingredients, so I stuck to my guns on this one and I’m so glad I did because I think simplicity is the key to life! 1 tbsp Primal Kitchen Avocado Oil & Oil of Oregano Vinaigrette (serving size is 2 tbsp but I feel like a little vinaigrette goes a long way, but do what feels right 😉). 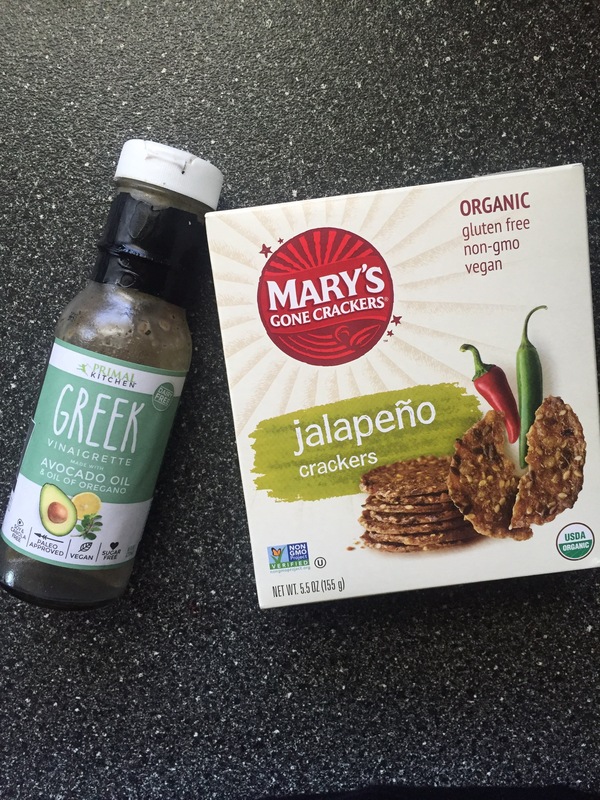 I added a side of Mary’s Gone Crackers jalapeño flavored 😍 (these crackers are the cleanest/most delicious things ever created). 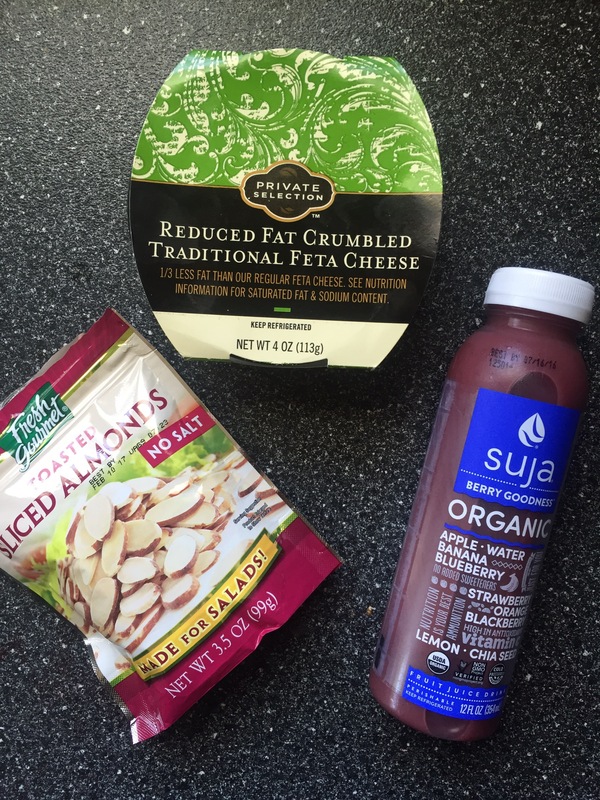 I also sliced a hard boiled egg for protein and popped open a Suja juice! If you are meal prepping this salad, I recommend using a quart sized Mason Jar. Placing the wet ingredients down first and topping with the spinach mixture! Have an amazing day guys, and as always thank you so much for stopping by!